From the NOAA weather site: Wind speed: 12-15 with gusts to 20mph (felt like more than that). 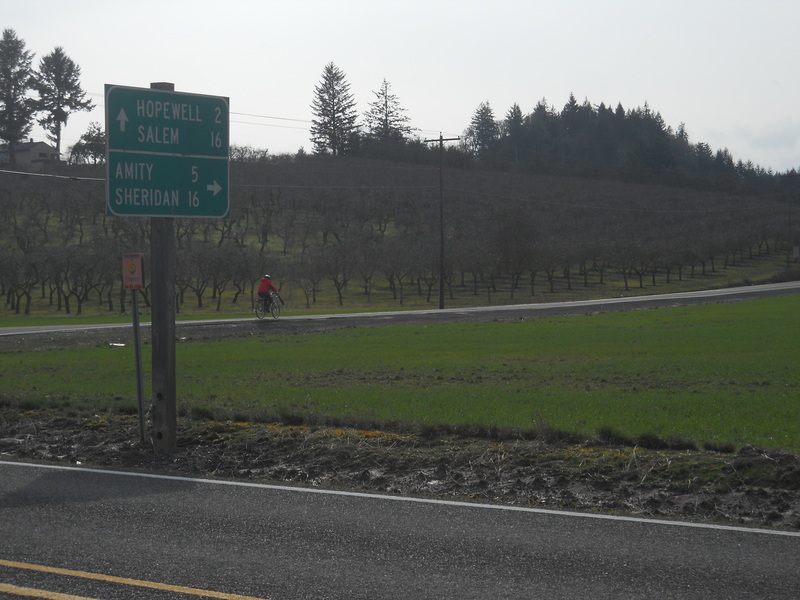 Today’s adventure took us on a 27 mile loop from Lafayette through Amity and back around. The first 10 miles were chilly as we rode directly into the wind which made it feel like we were riding through peanut butter. 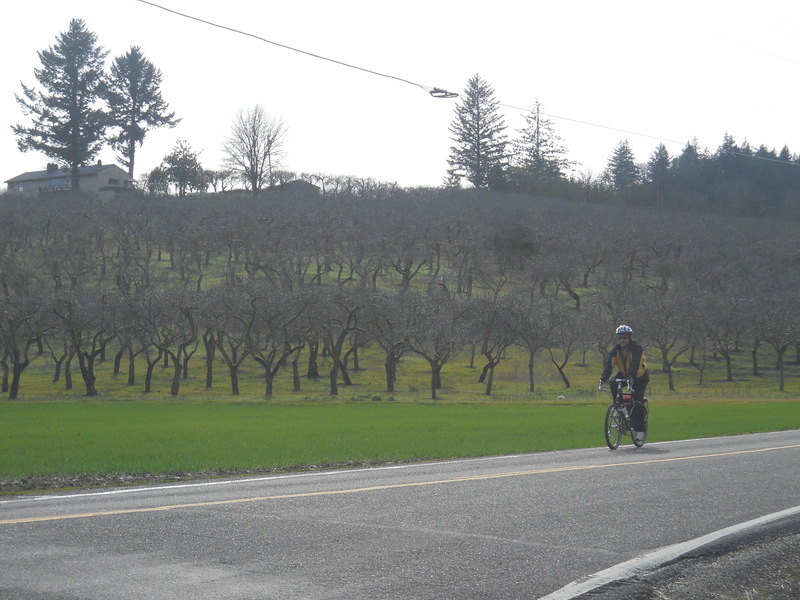 Our only real hill was a 500 ft climb which ended with a fun descent into Amity where we warmed up in a local market with tea, rosemary garlic bread and pepper garlic Havarti cheese from Willamette Valley Cheese Co. Yum. We both noted how sluggish our touring bikes seem on the descents when compared to our light weight road bikes. The ride back was fast, warm and quite as the wind was consistently at our back. The ease of the ride back made the rough first 10 miles worth the work.